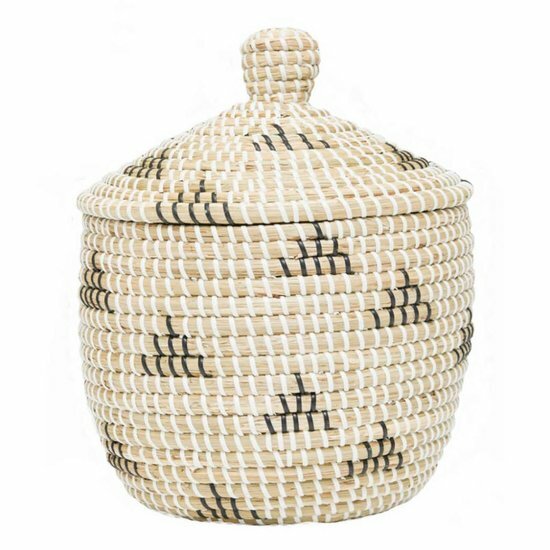 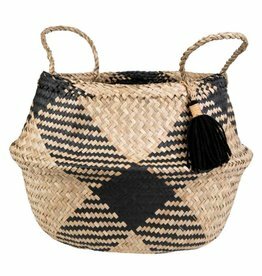 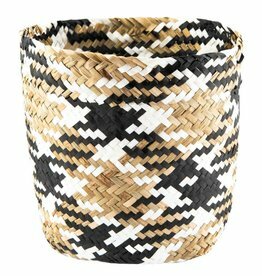 Beautiful seagrass storage basket with a practical lid and handles and small teepee patterns. 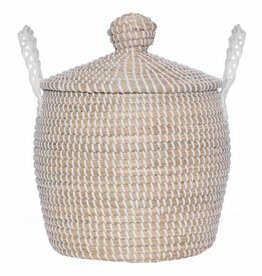 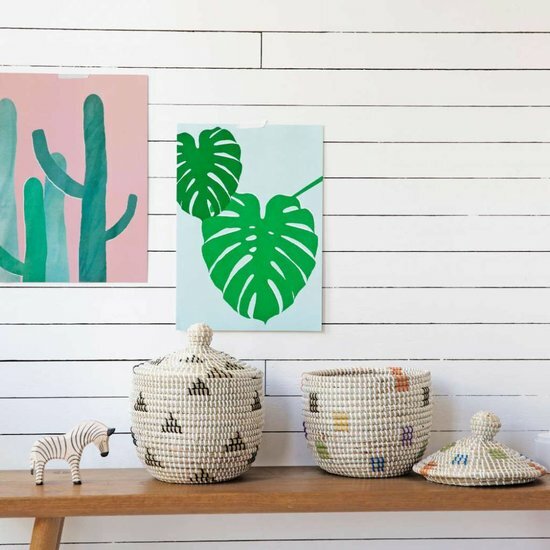 It's ideal for storing children's toys, cosmetics or baby changing essentials, as well as a unique accessory for your home. 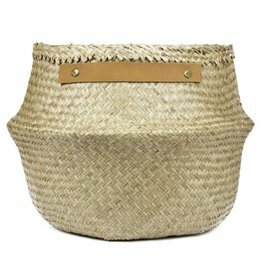 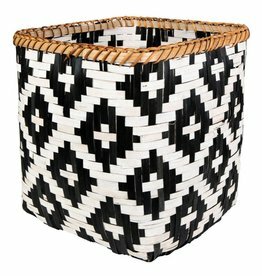 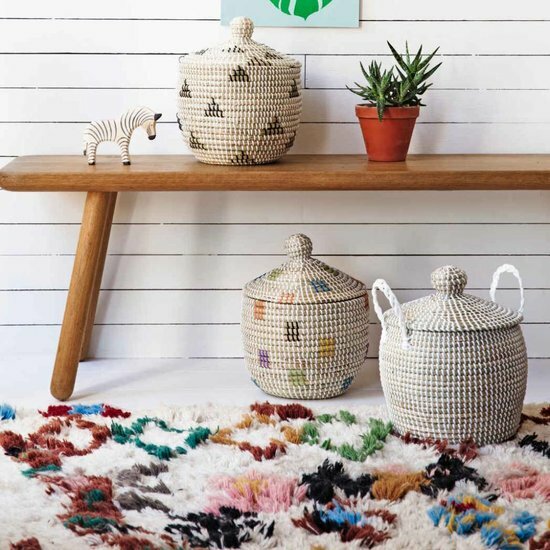 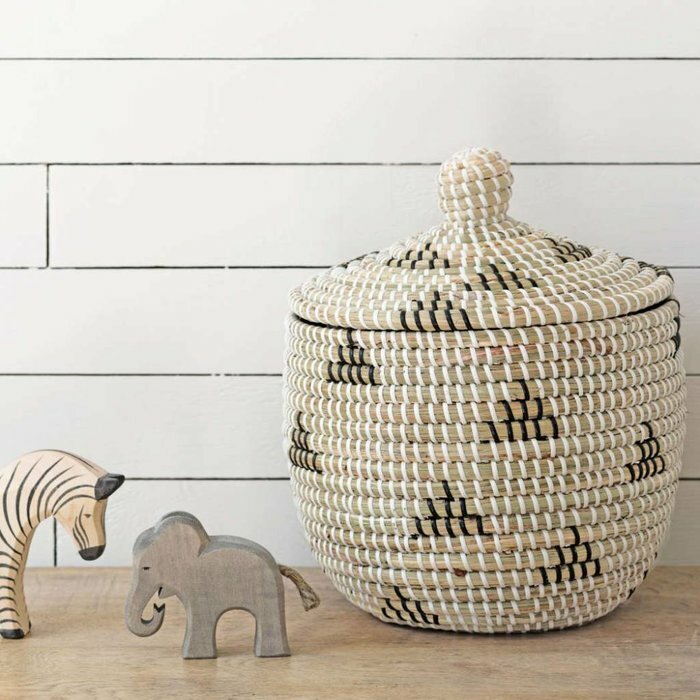 The seagrass basket was handmade in Vietnam under fair trade conditions.